Beth & Tracie at Dunas Lifestyle – Quinta do Lago – Algarve – Portugal. The only stockist in Portugal. 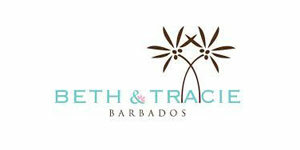 Beth & Tracie opened the doors their Barbados store in 2004 and quickly became renowned as the perfect one-stop-shop for the ideal holiday wardrobe. Kaftans, shirts and dresses in luxurious soft cottons are printed with delicate designs inspired by nature and the sea. From a simple loose shirts to slip on over a bikini to gorgeous maxi dresses, the Beth and Tracie collection will allow you to travel light and with elegant style.